Property owners who opt to purchase flood insurance in the private market rather than through the National Flood Insurance Program may do so under current rules, but they risk paying higher rates if they return to the NFIP. H.R. 2901, the “Flood Insurance Market Parity and Modernization Act,” recently passed the U.S. House of Representatives by a vote of 419-0 and seeks to alleviate that concern. “REALTORS® know that a robust National Flood Insurance Program is important for protecting consumers and ensuring property sales can move forward in 20,000 communities nationwide,” says NAR President Tom Salomone, broker/owner of Real Estate II Inc. in Coral Springs, Florida. “For many, the NFIP offers the only source of coverage that meets federally-related mortgage requirements and protects properties in the 100-year floodplain. 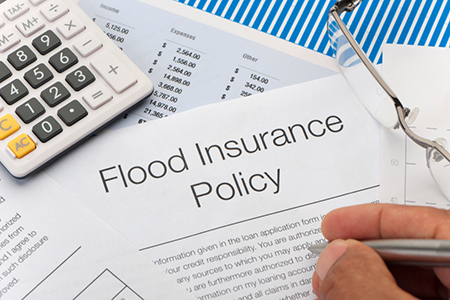 Under current regulations, the NFIP requires homeowners to retain a minimum amount of flood insurance coverage to maintain the lowest rates available within the NFIP. Those same regulations treat consumers who move to private insurance as having had a “break” in coverage, even if the private insurance product offers comparable coverage for the property. Oftentimes, consumers will return to the NFIP when a private insurance product goes up in price or is no longer available. In that instance, a homeowner can only do so in the face of a rate hike. H.R. 2901 would change this by clarifying that private flood insurance that meets state law provides continuous coverage. If the bill becomes law, property owners could move seamlessly between the NFIP and private insurance markets without the risk of arbitrary rate increases. Earlier this year, NAR wrote to members of the House Financial Services Committee to ask for their support of the bill; H.R. 2901 later passed the committee by a unanimous vote, clearing the way for the vote on the House floor. Additionally, last week, NAR joined members of the SmarterSafer coalition to urge House Speaker Paul Ryan (R-Wis.) to bring the bill up for a vote. NAR President Tom Salomone praised the bill’s passage, calling it a step forward for reform of the broader flood insurance system.